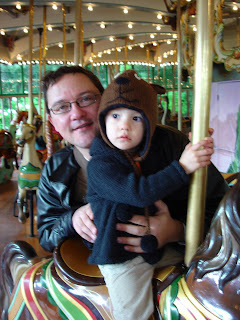 Riding the carousel with Daddy one day in December, a Maggie FAVORITE. 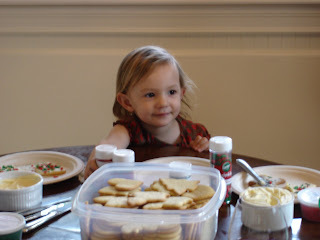 Maggie at her 2nd Annual Leu Holiday Cookie Party. 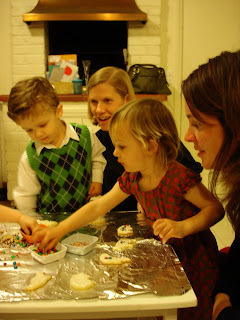 Sugared out a bit with Mariza after too many cookies. 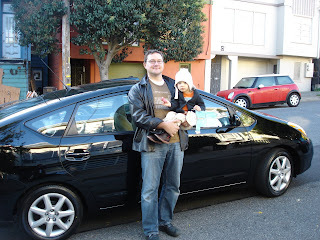 Daddy got his first NEW car ever, and first hybrid - a 2008 PRIUS! 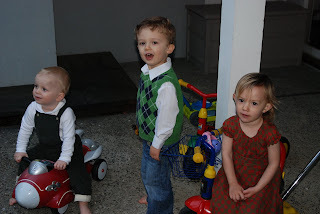 We enjoyed our New Years Eve this year with Chris & Edward, and Gamma & Gampa Leu. We munched on loads of cheesey fondue...and giggled our way through the remaining hours of 2007. We celebrated the east coast New Years & believe we were all passed out by 10pm. 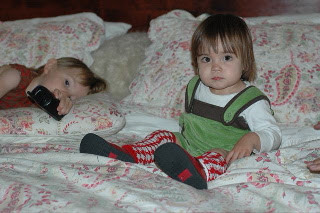 May the laughter, goofiness & loving to live each day to it's fullest continue on in the year 2008!